Central Foundry’s entire Lacework range of panels, friezes and spear tops are all cast in aluminium. 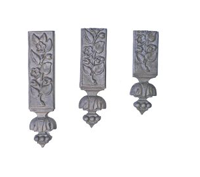 We continue to use traditional methods of casting molten aluminium into sand moulds to re-create exact replicas of the old Victorian cast iron panels. Please see our IMPORTANT INFO page for more information relating to our range. We encourage all customers to read this information before placing an order as it addresses many important issues. 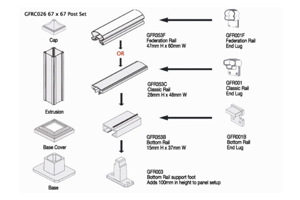 When you are ready to place an order please phone Mark on (02)9667-2502 or email at mark@centralfoundry.com.au. 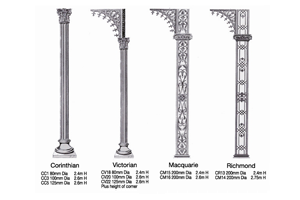 For many years Central Foundry has been the premier supplier of high quality cast aluminium panels, corners, freizes, droppers,(Lacework), brick vents, post bases and fence spear tops and palisade fencing in addition to cast Victorian and Corinthian Columns also specializing in Heritage Restoration. 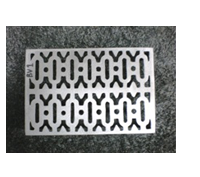 Our cast aluminium products, in most cases are exact cast copies of the original cast iron lace work. Cast aluminium will not rust and when powder coated in our vast array of colours will give many years of trouble free pleasure. It is a third of the weight of cast iron and is very easy to work with. All of our range of Balustrading are suitable for self installation by any home handyman, or we can arrange a professional installation by experienced high quality tradesmen. 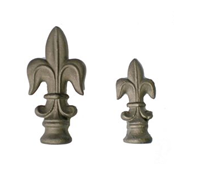 We are also able to reproduce castings directly from your own sample so that you can exactly match broken or missing panels without having the expense of replacing entire balcony railings. If you wish to match existing styles in your vicinity we may even have the exact same panel in our extensive range of standards products.